Make your meeting stand out by creating a rich media experience and providing additional presentation material to your audiences – directly on their screens. 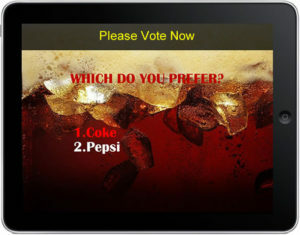 Presenters can share their presentation content and polling questions directly to a large number of personal devices. 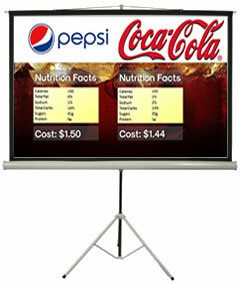 This content can mirror what is shown on the primary projection screen, or it can show the supporting content that simply adds to the main visual message. Imagine a meeting where the audience can see supplemental material with an additional educational value on their personal devices. Share content is controlled from a central location, so that your audience always stays on track and doesn’t get distracted. 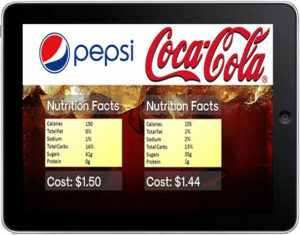 You could, however, choose to present a very different piece of information on the tablets and laptops (even smartphones), to enhance the ability to comprehend the subject matter, or to supplement the information already provided on the big screen.